Aromatherapy By Jamie, J.OILS, LLC offers authentic aromatherapy, botanical and natural wellness education and consultations by Jamie Michaels, RN, CCA, CAI, NAHA Director of WI. 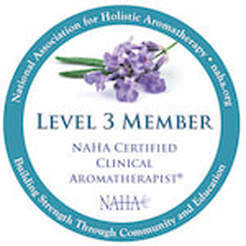 Jamie is a Registered Nurse and performed her aromatherapy studies for the Masters of Aromatherapy and Instructors Training programs at Aroma Apothecary Healing Arts Academy. Jamie has also completed a lovely course on healing with flower essences and additional studies of the digestive system including natural detoxification and understanding and supporting the body's microbiology. Jamie is also currently continuing her education in herbal studies, including herbal foraging and harvesting of wild plants and weeds, and herbal medicinal making. Jamie has a passion for providing safe use of essential oils, personalized skin care, carrier oils and beneficial blending for all ages, and use of aromatherapy and botanical products to assist in improving emotional, spiritual and physical wellness for optimal well being. Jamie is very inspiring and delivers education in a step by step process to learn at a pace that fits each client's needs, customizing all consults and classes for individual client's and businesses. 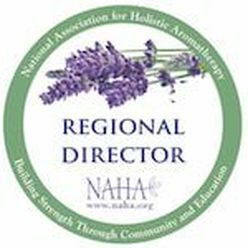 ​Jamie is also a proud Member and Director of the NAHA following teaching protocols within the scope of NAHA's safety standards. As a Level 3 Member of the NAHA it is a requirement to complete yearly Continued Education. Jamie believes education is important to keep up to date with new research studies and safety protocols as it is equally important for those using aromatherapy products to also keep up to date with ever changing product education and safety.